Picking a name for your pet fish can be a lot of fun but it can also be really tricky (especially if you have a tank full of similar looking fish)! Whether it's a betta, a clownfish, or a guppy, you'll be sure to find a unique, funny, cute, or plain fish name for your scaled, aquatic friend in this list. Now you'll just need to be able to tell who is who in that school of fish. Want to name your fish in honor of a make-believe fish? There are plenty of options! 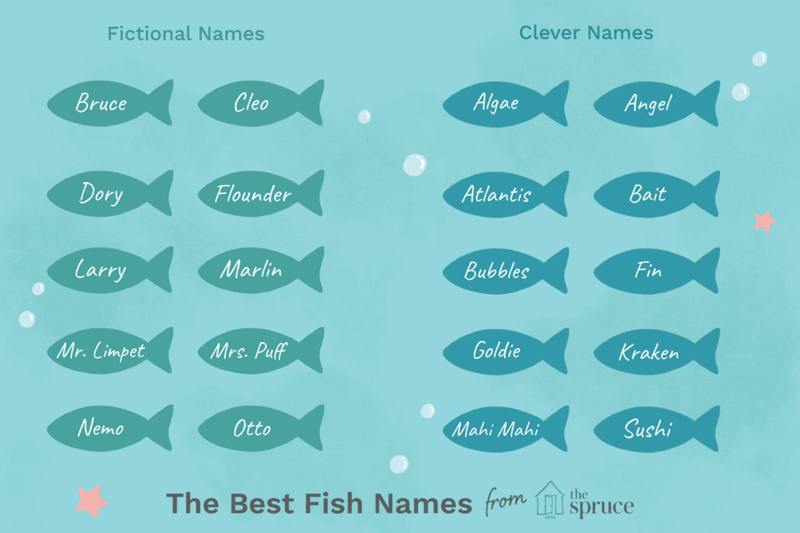 If you're looking for a giggle, these fish names may be perfect for your pet. While the names above are great for any fish, you'll want to know much more about the specific species of fish living in your aquarium. Not only will you want to choose an appropriate name, but you'll also want to find out more about how to care for your fish. Each species needs something a little different to live a long, healthy life.